For over half a decade, I’ve been visiting the Cordillera mountains in Northern Luzon to get a close glimpse of this uncommon, now becoming rarer, endemic shrike. This species ranges at high elevation in Luzon, Mindoro and Mindanao islands. I had several encounters prior to this capture, but none as close with good detail and pleasant background. I was walking on cloud nine for many days after this birding sortie. Habitat – Uncommon in montane forest (clearings and edge) above 1000 m.
Shooting Info – Elev. 1065 m ASL, Cervantes, Ilocos Sur, Philippines, January 22, 2010, Canon 7D + EF 500 f4 IS + Canon 1.4x TC II, 700 mm, f/7.1, ISO 200, 1/640 sec, bean bag, manual exposure in available light, near full frame, 13.5 meters shooting distance. 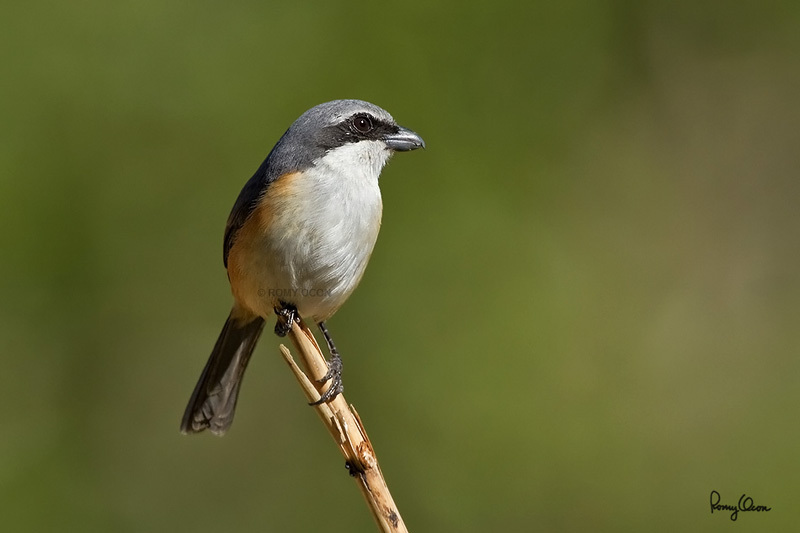 Rare clips of a Mountain Shrike filmed in the Cordillera mountains.